We buy phone for a purpose put the major deal there is that we need it to connect with our love ones. Getting a smartphone that work some glory would be something crucial that you ought to put down to your instinct to avoid regretting action. Take is as your full responsibility any you are trying to purchase that you need to examine and be satisfied with what you are seeing. Majority has found some nasty in using fake android and iPhone after a series of their online shopping. Online shopping is awesome but remember most time you might nab yourself victim though they will give 90% assurance of that product to clear doubt. Wack or Fake phone keep emerging with some features that's befitting with original company product. They practice and strike through the best deal even leaving a clear physical built such that it will always suite your test as an original phone. 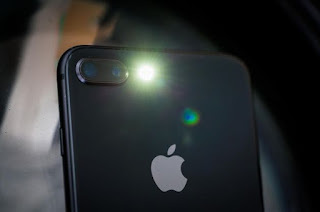 However, there's many strategy to apprehend fake iPhone so in this post links will drive us in some few steps to take a sip on how to know original iPhone device. There's so many expensive android phones out there with buy and cry features but in the first place lets talk about the iPhone and the simplest way or new method to identify apple product. So below is how to know if your iPhone is a replica or a represent of a true product. Warranty is one of the straight way to know if a phone worth that substantial. Apple uses one year warranty to guarantee their customer a better usage. So view the warranty of your iPhone will also show you the serial number. 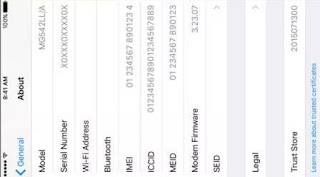 Previously, i published a post on how to see the IMEI of iPhone XS and XS Max. 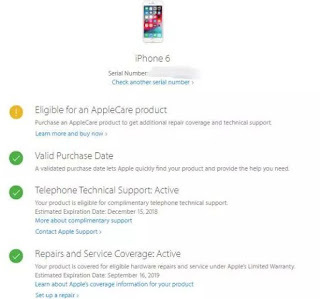 To check you iPhone warranty, you need to get serial number which you can learn from the link i provided. Once you get the serial number the next task is to proceed to apple service and support. From you check your iPhone warranty by inputting the iPhone Serial number in the box provided for you. Now once you input it, tap continue and wait for the next page to show the full warranty of your iPhone. Just note that the information provided should be exactly like apple device just as you can see that above. To those who like glittering stuffs like phones without check if is a refurbish.Well, to know a refurbish iPhone, you can check that from model number from the setting. Unlike other phones like android, iPhone also have its own way to verify a fake iPhone, refurbished phone,replacement phone or personalized phone. Now once you go your iPhone settings then go to general >>> about from there you will see the model number of the phone showing what your phone is all about. If the model number starts with M, it simply that the iPhone device is a brand new phone, if the model number starts with F it means that is a refurbished device while if the model number beings with P it means that is a Personalized device. For example,“MQ3D2HN/A” “FQ3D2HN/A” “PQ3D2HN/A”. All this type of iPhone from MFP model might be regarded as good phone but if the iPhone you want to buy don't not starts with the letter i mentioned above it simply means a fake and wack iPhone device and this also means that's not original iPhone. This is another method to check if your iPhone device is a pure deem original. Now are you shopping plaza and your aim there is to purchase one iPhone for yourself, well that's quite good but before start applying the above mentioned method, you can also check if the iPhone is an original brand device from apple, just from the iPhone Box Label. The box label detailed some of the information like the serial number and the IMEI with some other things. Now, after seeing the serial number and the IMEI, you need to check those numbers internally. I mean from the phone settings to general then you tap on about us. Compare the serial number you saw on the Box label and the one inside the iPhone setting. If they are the same the iPhone Fake but they are the same that means the iPhone is original. This is very simple and clear, do you buy a new iPhone and there you are a memory card slot. Well, that's a very clear that your iPhone is Fake. iPhone don't support external card rather everything about storing have to go with internal memory with is about 16 GB/32 GB/64 GB/128/256 GB. Yes, this can also tell us if the iPhone is original device. Every phone has its own special IMEI and the can't be the same number be it android,iPhone or any other OS. Please note that from step one of this post it shows how to know original iPhone but through the serial number. But here is also a way to know if your iPhone is original but through the IMEI. Just note the different and the image above shows the Serial number and the IMEI. You can check here to know how how to get iPhone IMEI. 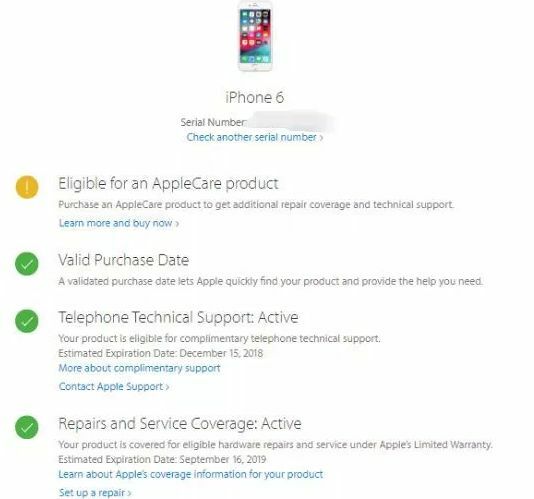 In a simple way, you can dial *#06* on your iPhone to see the IMEI but you it didn't show you can visit the apple support page to learn more about IMEI. 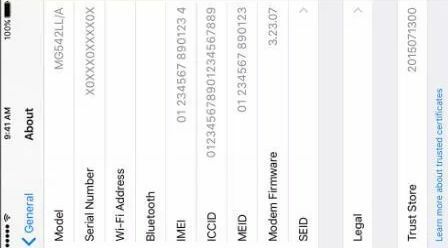 Mostly, we normally see the IMEI on the back of the iPhone but some of the old brand iPhone might not have this at the back but you can also see it on the seem tray. Apple logo continue to play a cool roll for the company while fake company continue to fight to get the best of the apple logo. Apple logo is very unique logo which can be seen on the body of the iPhone. It is symbol that represent the company meanwhile fake iPhone also imitate them to create this design which is also similar to the original iPhone. Well even if they are the same you can also feel it by touching the two logo. By doing this you see a clear difference between the original and fake iPhone. Identify a fake and original iPhone is very easy, looking at the fake you will notice a clear difference between them. The shape and and appearance is what will flash to your eyes. The thickness, the quality,the internal and external features of Fake iPhone not the same with the original.They might looks alike obviously they are not the type. Sometimes fake iPhone can manage to follow up with the USB port location, the Camera lens and even the buttons looks alike. Fake iPhone will always render fake quality and they can't meet up with the original quality just that are working assiduously to make the iPhone looks what it wort. Camera is another thing that will show you if the iPhone is original or not. When it comes to Original iPhone and Fake one, there's a cool way to notice the fake one, The camera most times looks extremely blur. The camera features is not even built with standard form like the original one. Let me advice any of you who want to by iPhone; i think you should head over to Apple official website for your safety in getting a quality iPhone with warranty. Avoid refurnish iPhone because of them is not good though they might be exactly with original one. Apple store is not every in the world but if you are looking for a place to purchase one for yourself, you get it from re sellers the one that closer to you.